As a state university Semmelweis University functions under the auspices of the Ministry of Human Capacities. The University is listed in the WHO’s directory of Medical Schools. 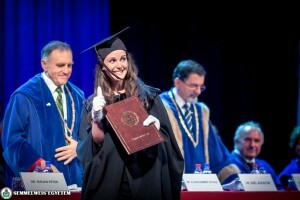 The faculties of the University are accredited by the Hungarian Accreditation Board. The decision of the National Committee on Foreign Medical Education and Accreditation of the USA declares: The standards and processes used by the Hungarian Accreditation Council to accredit medical schools in Hungary are comparable to those used to accredit medical schools in the United States. European Union: In those professions where the conditions of education in Hungary are identical with those in other EU member states, and these have already been recognized (medical and dental doctors, pharmacists etc. ), the member states of the European Union are obliged to accept the diplomas issued in Hungary, independent of the language of tuition. 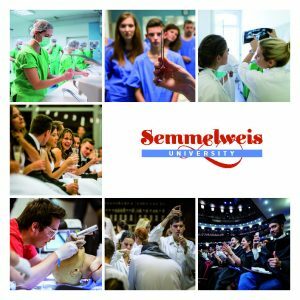 Important: Semmelweis University organizes USMLE training program for its students! Canada: Semmelweis graduates are eligible to pass the Medical Council of Canada Evaluation Examination (MCCEE) and the Medical Council of Canada Qualifying Examination (MCCQE) before applying for residencies. Israel: Semmelweis graduates have to complete a one-year practice and pass a test before they are eligible for obtaining the permit to practice medicine. India: Doctor of Dentistry degree of Semmelweis University is equivalent to B.D.S. degree in India.